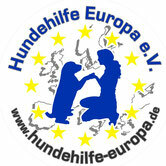 Our Mission - Webseite der Hundehilfe Europa e.V. Here you'll find a snapshot of our rescue dogs looking for a family. They are all lovely, microchiped, vaccinated, have an EU-Passport and some of them are neutered. Our volunteers work hard trying to make a difference for our beloved doggies. Our motto is "you can't save all dogs in the world, but you can save a dog's whole world"
Visit our Happy End Gallery! Some of our dogs have really gone through a lot in their short lives but look at them now! They are just so grateful and cheerful! Copyright by Hundehilfe Europa e.V.